The Foundation Diaries – The Beauty Spot. Finding the right foundation and giving it that Holy Grail status is a big thing for many of us. We often try many different brands, finishes, textures and application tips before finding one we are 100% happy with. I have only recently been experimenting more as I had always been pretty happy with the one I’ve used for a few years. I felt I must be missing out on the quality of drugstore foundation after reading post after post about how good they are. 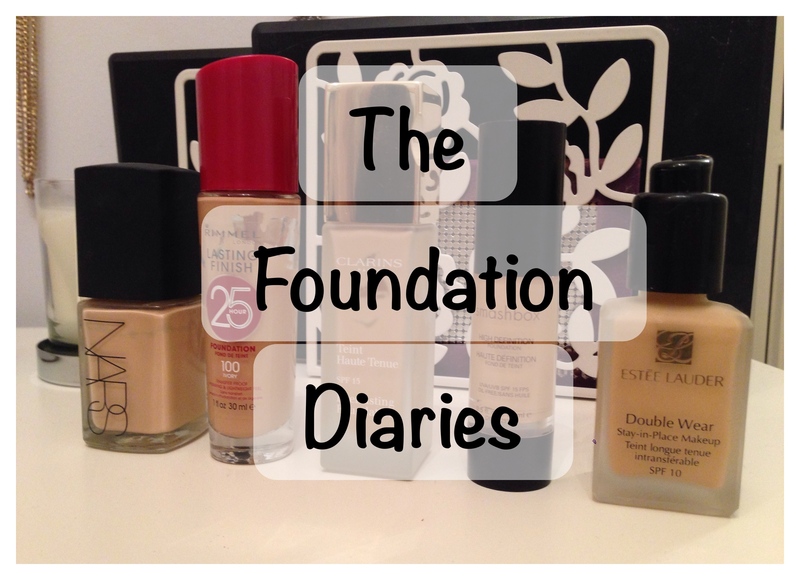 In this series I will be posting a review on a different foundation every day between Monday and Friday. They all fit into the medium/full coverage and long wear category so I really feel I’m comparing like for like. I have only one drugstore foundation in this list, mainly because I found it so hard to even find one that seemed to tell me it did what I wanted it to do! I feel much better when I can ask a consultant exactly what a product does how to use it to get the best out of it, and also to ask for an opinion on colour match. I hope these reviews will be useful to anyone else who uses this kind of foundation, whether thats everyday or just for nights out. I would love to hear your recommendations for medium/full coverage foundation along the way. Just leave a comment below this post or any of the posts this week. EDIT: All links to posts from this series are below. I love Illamasqua Skin Base as the shade is fabulous for my pale ginger skin. I also love Double Wear but even their lightest is slightly off-shade for me, it only works well on me in summer. I’ve had Skin Base before and do like it. It’s better for me when my skin is behaving though! Pingback: OOTD #2 | The Beauty Spot. Well NARS is first up tomorrow so make sure you have a read!